Our first foray into patterns informs of our restrained approach to design, and understated elegance. 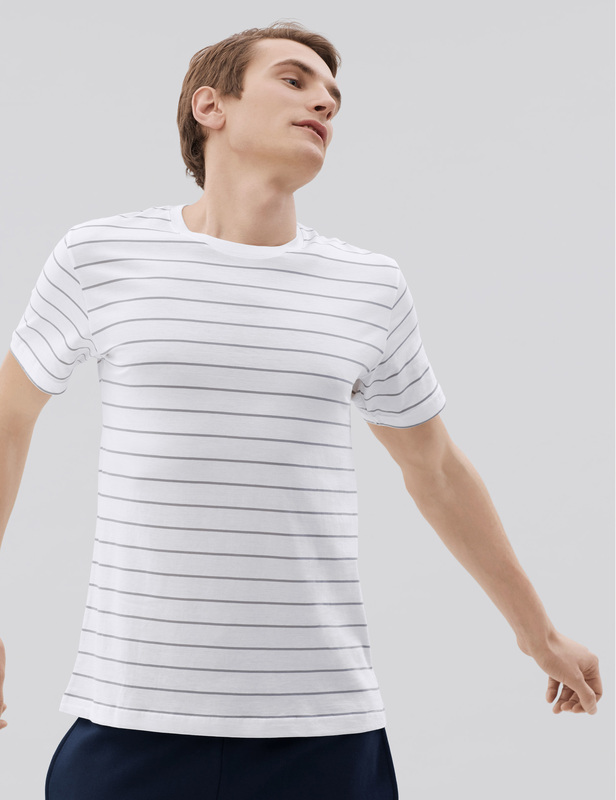 This striped t-shirt is meant to accent, not overpower. 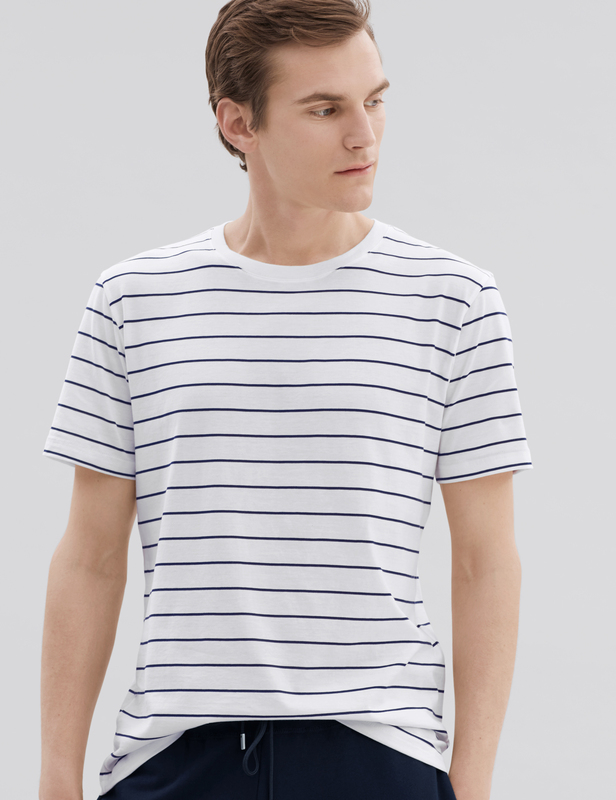 Crafted from our premium lightweight jersey fabric, it is destined to become part of your warm-weather rotation. 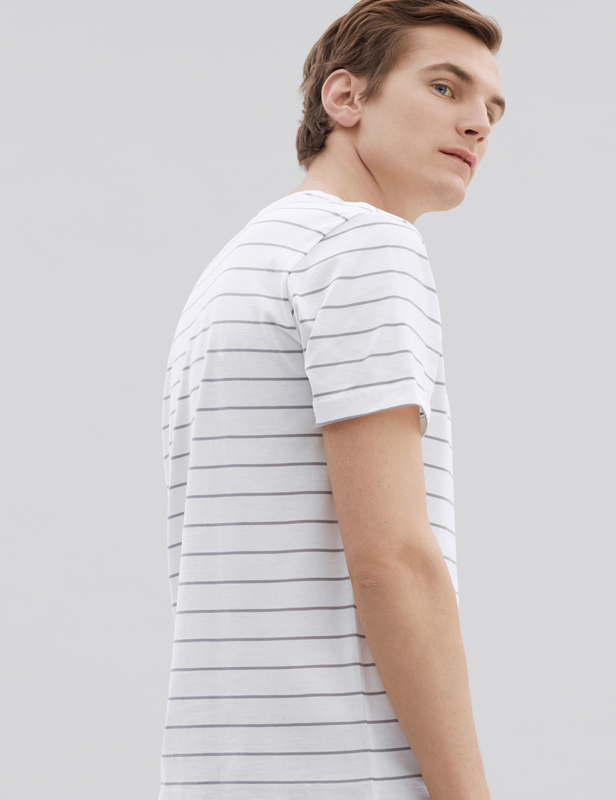 Produced ethically from superfine two-fold (80/2) yarn with the finest extra-long staple Peruvian Pima cotton. 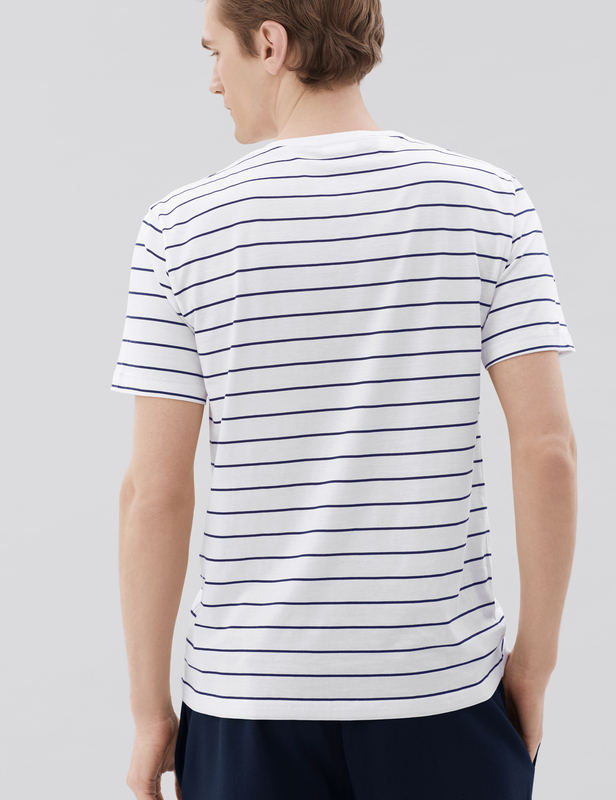 The stripes are achieved by knitting with dyed yarns. We recommend that you take your normal size. Machine wash warm without bleach. Gently tumble dry on low heat or hang to dry. Receive updates on new arrivals, events, and promotions. Plus a coupon code for 20% off on your first order. SHOULDER Measure from edge of shoulder to opposite shoulder. BUST/CHEST Measures only the front of the chest, one inch below the arm hole. WAIST Measure where the tape falls at the narrowest part of your waistline. HIP Measure at the fullest part of your hips, making sure the tape doesn’t fall below the buttocks. SLEEVE LENGTH Measure from the top of your shoulder to your wrist. Sign up to receive the latest håndværk updates on new collections, exclusive promotions and news. Subscribers will receive a coupon code for 20% off their first order.